Genoa vs Juventus predictions as the champions look to strengthen their place at the top of Serie A. Can they claim a win at Genoa on Sunday? Read on for our match preview and free betting tips. After their thrilling comeback on Tuesday night, things are looking up for Juventus. They’ve been cut to second-favourites for the Champions League, after drawing Ajax in the last eight. They’re expected to make a serious challenge for the European crown this season while retaining the Serie A title. With a solid 18 point lead over second placed Napoli, the visitors make this trip to Genoa with the title just weeks away. Genoa are facing a tough clash, with the hosts seeing their unbeaten run brought to an end last weekend. A 1-0 loss at Parma brought an end to a streak which dated back to January, with the Grifone climbing clear of the drop zone in that time. They hold a nine-point lead over the bottom three, something which the home side aren’t likely to extend on Sunday. Juventus come here in fine form. They won their fifth straight Serie A clash last weekend, doing so with a massively changed side. The visitors thumped Udinese 4-1, despite holding back their first choice names for their last 16 clash in the Champions League. That win has created competition for places in the side, with Moise Kean now pushing for a start after his brace in the last clash. The champions are almost untouchable this season, following 25 wins from their last 28 in the league. They did slip up to Genoa in one of those, a shock draw at home earlier this term. They aren’t expected to struggle against the Grifone once again this weekend, with Juve coming into this clash priced up as the heavy favourites to secure three points this weekend. 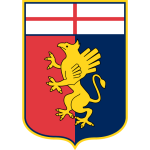 With 12 wins in 13 trips, little suggests that Genoa will rally and stop the champions from continuing their match towards the Scudetto. The hosts have already lost to two of the top three here, while they’ve let in 15 goals across six meetings with the top five sides in the league. The Grifone are likely to struggle in this clash, with Juve scoring 13 times in the last 12 clashes between the two, while the champions have scored at least twice in 11 of their 13 trips this term. They’ve managed to score at least two on 24 occasions this season in Serie A alone. Tuesday’s treble took them to nine goals in three games in all competitions, so over 1.5 Juve goals looks like value in this clash. Genoa and Juventus played out a draw in the reverse fixture; the ‘Grifone’ are looking to remain unbeaten against the ‘bianconeri’ across both league fixtures in a single season for the first time since 2011/12 (D2). Genoa have failed to score in their last three Serie A games; the last time they failed to find the net in four consecutive matches in the competition was back in April 2017. Juventus are the first side to win 24 of the first 27 matches and to get at least 75 points in the same Serie A period. Juventus have won the joint-most points from losing positions in Serie A this season (13, level with Atalanta and Milan), while only Empoli and SPAL (18) have lost more points from leading situations than Genoa (17). Cristiano Ronaldo has failed to score in his last two Serie A matches; only once before has the striker failed to find the net in three consecutive league games for Juventus (in his three first matches of this Serie A). Juventus striker Paulo Dybala has scored five goals in his six games against Genoa in Serie A, including his first hat-trick in the competition at the ‘Ferraris’ in August 2017.